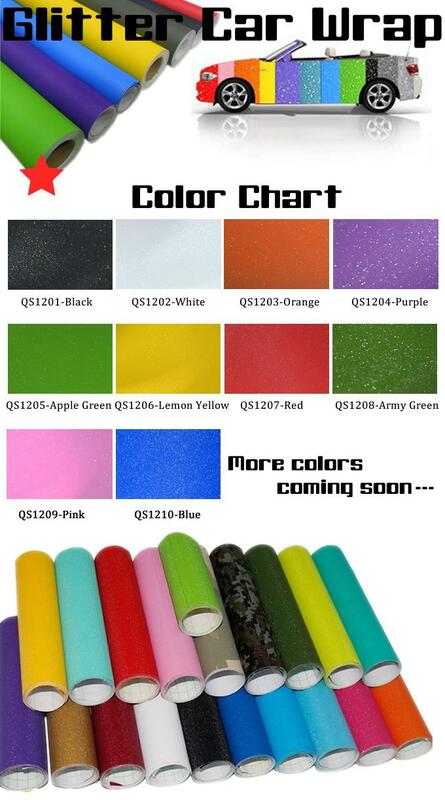 Product categories of Glitter Car Vinyl, we are specialized manufacturers from China, Brilliant Diamond Film, Glitter Car Vinyl suppliers/factory, wholesale high-quality products of Frosted Glitter Wrap R & D and manufacturing, we have the perfect after-sales service and technical support. Look forward to your cooperation! Our Brilliant Diamond Sanding Glitter Vinyl is a high-end Air Free Vinyl used by professionals to wrap Cars and Motorbikes. The vinyl can be installed on all sorts of surfaces, regardless of the curvature and is Bubble Free with Air Channels on the adhesive side. This means there are an unlimited amount of applications, from the exterior and Interior of your car to the back of your laptop. The wrap is also textured which gives a textured gritty feel for added effect which helps the light reflect the diamond finish. This wrap is a real show stopper no matter what car it's on! High quality vinyl that is used for wraps and conforms to the most challenging contours and shapes.